After a super early morning at the St. Lawrence market, it was decided coffee was needed (a good decision). 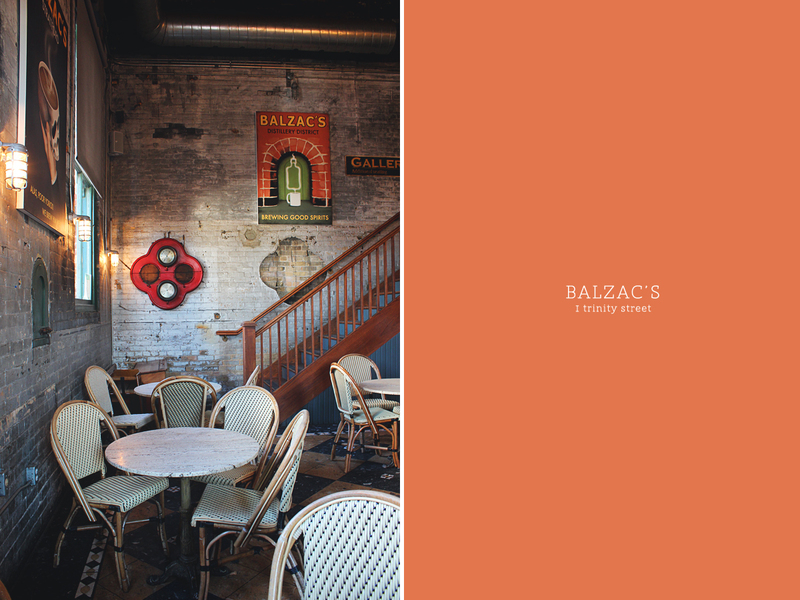 I had yet to visit the ever popular Balzac’s in the Distillery District, but I had heard so much about it (I’m also a casual Dragon’s Den watcher, and Balzac’s made an appearance there, too). 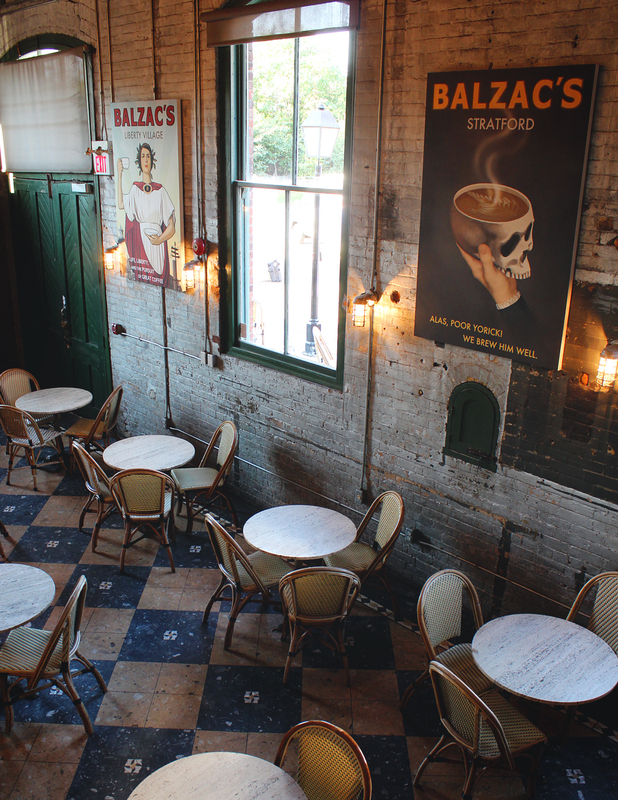 Balzac’s is lovely, and a perfect fit for the Distillery District. 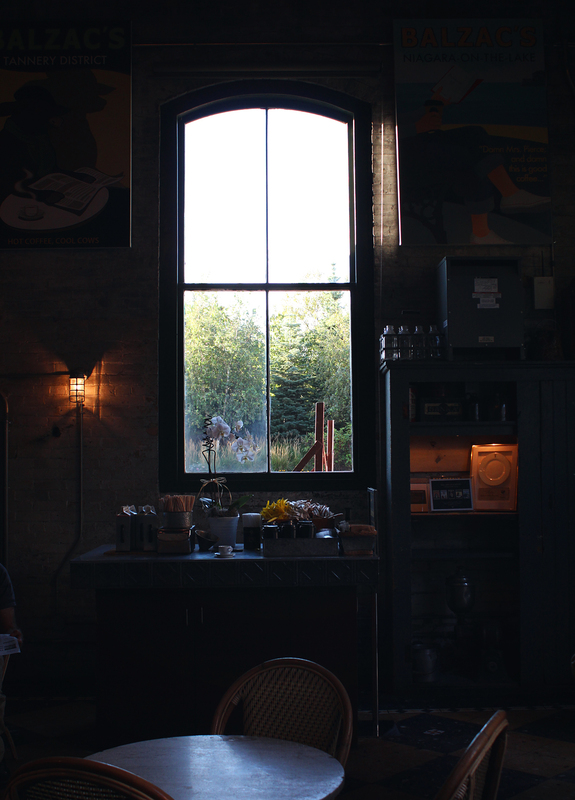 I loved the exposed brick and the vintage-inspired artwork. The latte? Top notch. And I really dug the upstairs/downstairs element. 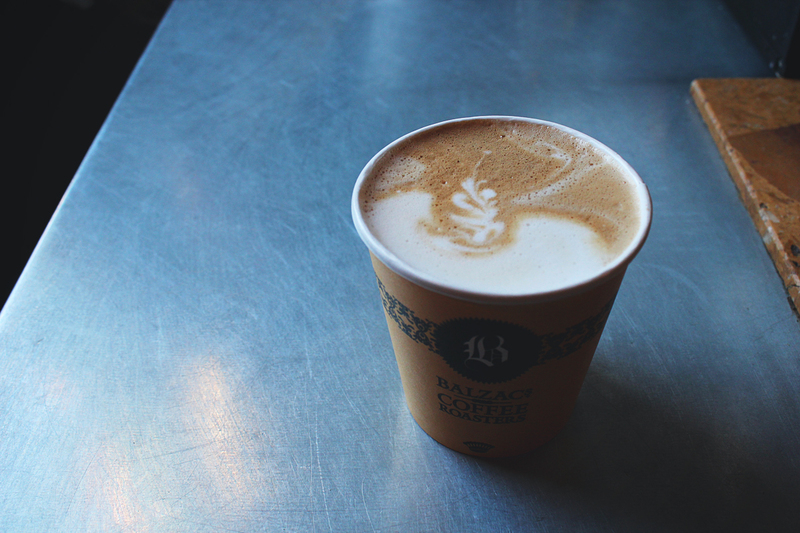 I’m so used to being crammed into small-and-cozy Toronto coffee shops … Balzac’s was definitely a nice change. Oh – also. Side note: this is twoaftertwenty’s one hundredth post. Yippee! dancedancedance. Cute little cafe by the way!